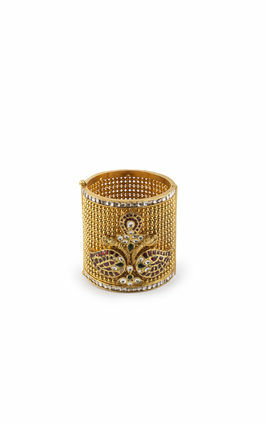 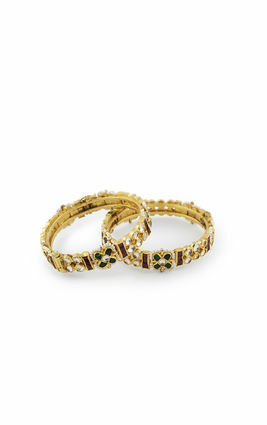 Gold polished kundan bangles encrusted with emerald green, pink, and white stones arranged in floral patterns to mimic the collections of Maharanis. 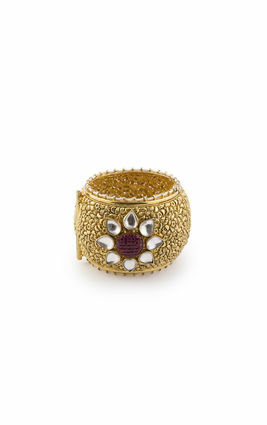 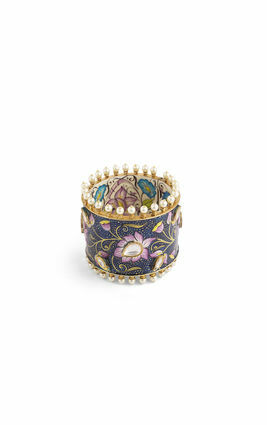 Rows of tiny pearls add an aura of delicate charm to these classic Rajasthani bangles. 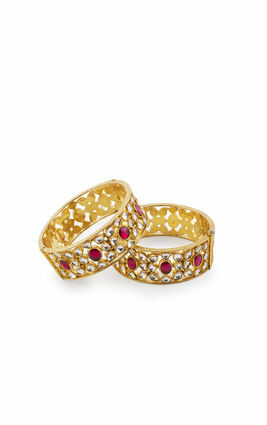 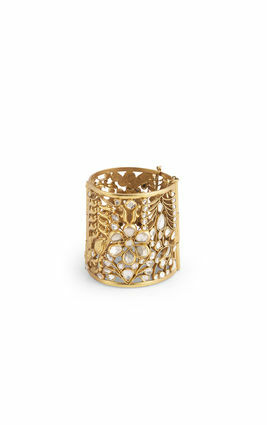 Pair these with glass bangles on special occasions. 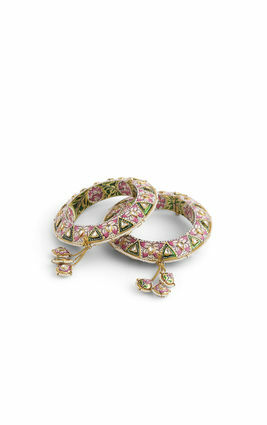 Gold polished kundan bangles encrusted with emerald green, pink, and white stones arranged in floral patterns to mimic the collections of Maharanis. 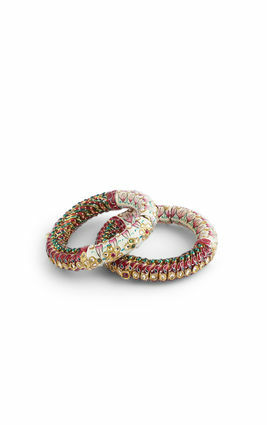 Rows of tiny pearls add an aura of delicate charm to these classic Rajasthani bangles. 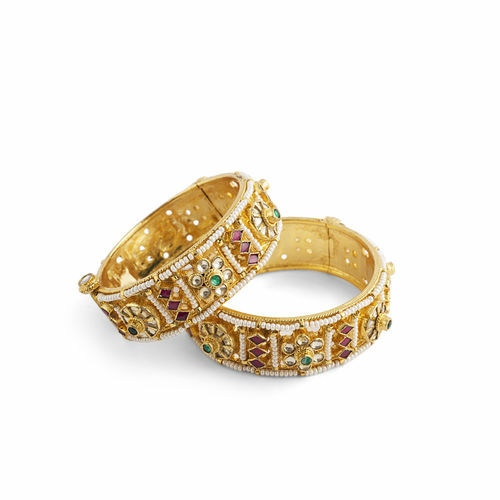 Pair these with glass bangles on special occasions.